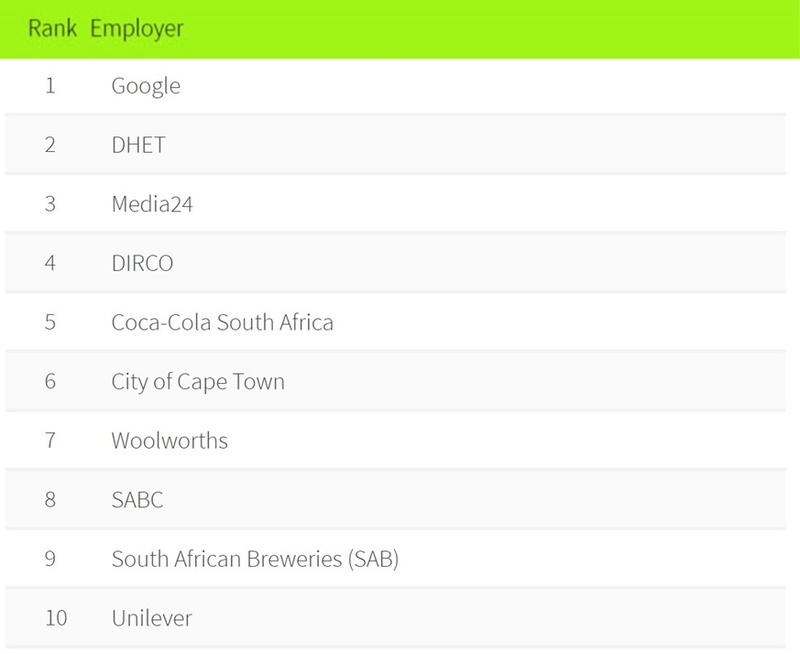 Branding firm Universum recently released its 2017 list of the companies South Africans most want to work for. 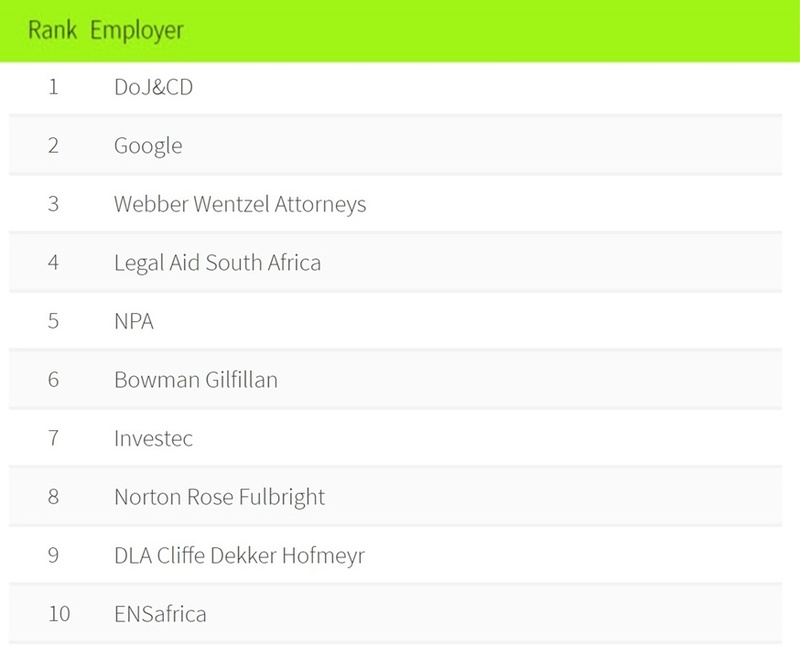 Unsurprisingly, given its reputation for looking after employee welfare, Google tops the rankings across a wide array of fields. In order to pull together the rankings, Universum surveyed more than 22 000 working professionals, asking them questions on topics such as future employment and career goals, as well as other factors that make employers more attractive, such as work-life balance. 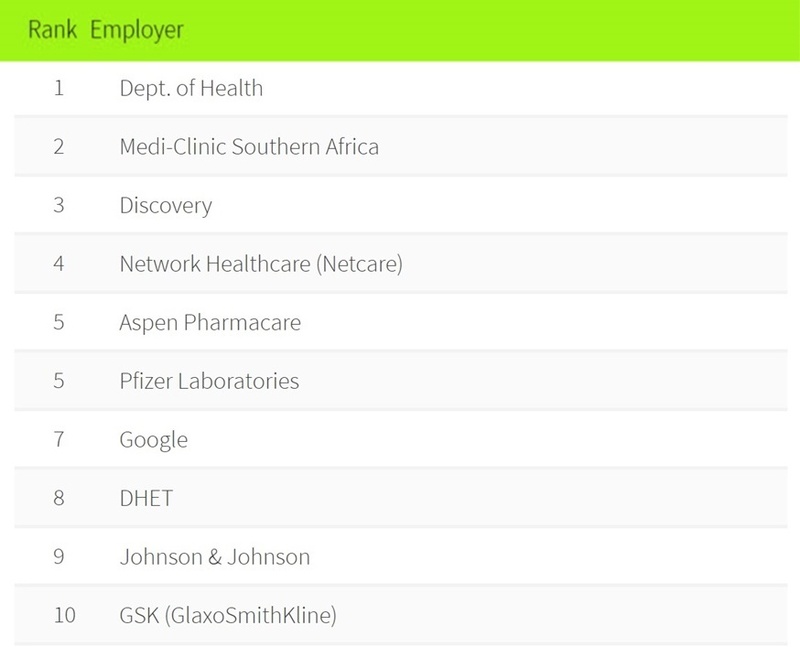 Google features in the top five-ranked employers for people in business and commerce, law, engineering, and the humanities. 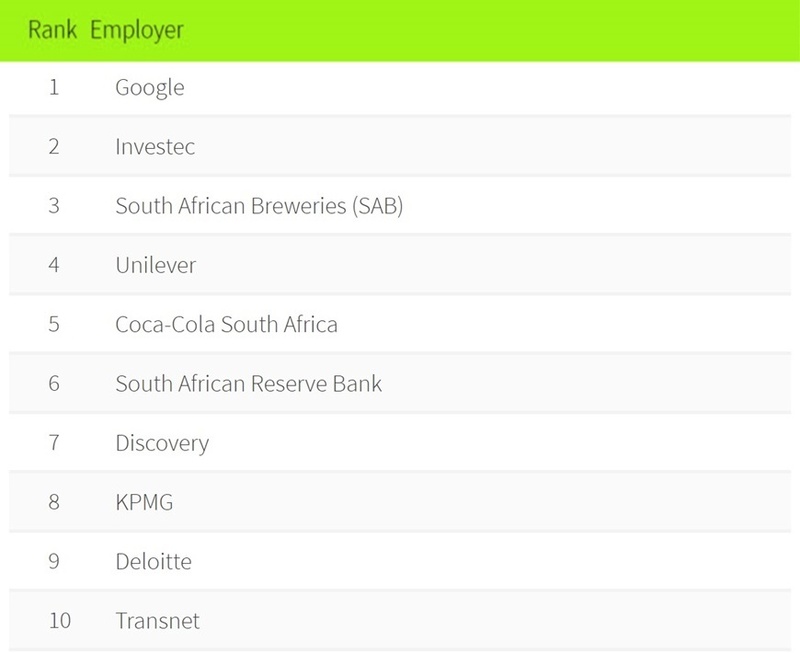 Interestingly, despite high overall levels of unemployment in South Africa, many are looking to move companies in the near future. According to Universum, 48% of the experienced hires who responded to the survey indicated that they intend to change employers within a year. 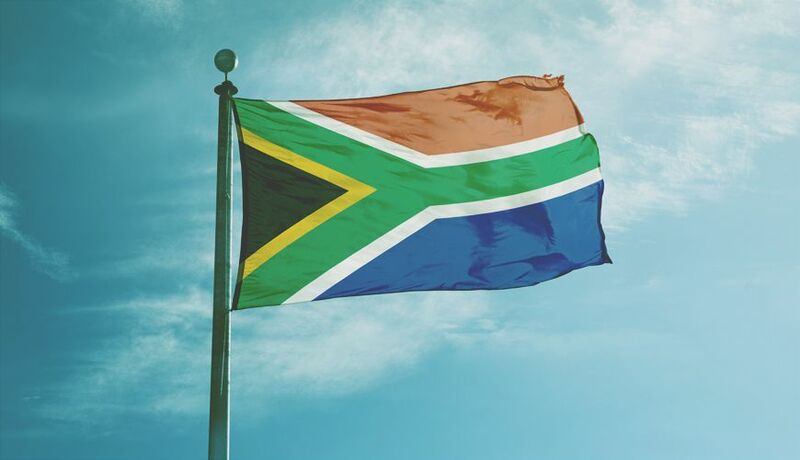 “With our rate of unemployment hitting a 13 year high towards the last quarter of 2016 and our findings showing an expected increase in talent’s needed for security and stability, one would have expected the experienced hires to show a lower mobility rate,” said Universum research manager, Winani Ndlovu. 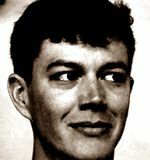 “Unfortunately getting a job is a need and like all needs, once satisfied individuals start looking into satisfying the next need in the hierarchy,” he added. One of the major things they’ll look for in a new company is professional training and development. 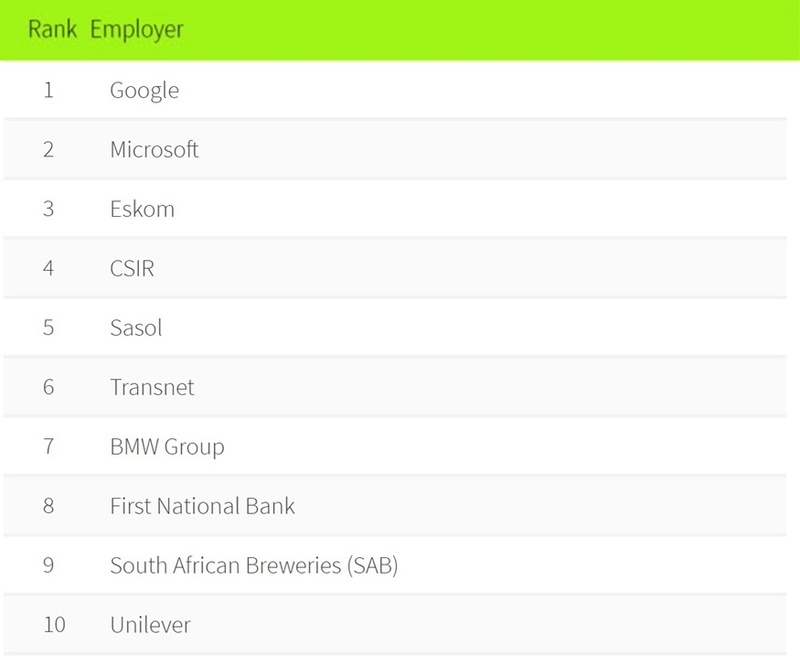 “It is therefore imperative for employers to be clear in their employer brand positioning to ensure that they attract the right talent that have aligned expectations,” Ndlovu said. 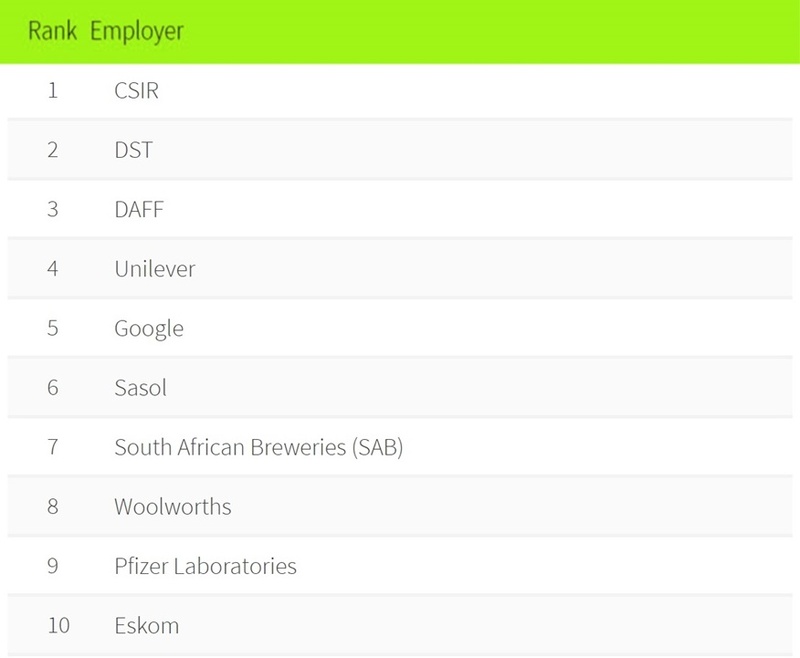 Here are the top 10 employers across six fields.